We tasted through the following 17 beers for July and rated them according to our very own interpretation of the BJCP scoring guidelines, on a scale of 100, listed in alphabetical order. We considered aroma, appearance, flavor, mouthfeel, overall impression and trueness to style. It's not an exact science–we know this. We just don't like to pass on the opportunity to drink more beer. This month we explore a handful of new much-anticipated Chicago offerings, chamomile makes a couple appearances, IPAs are plentiful, funky gets a nod, and birds appear to be a theme. A collaboration between Orange County's The Bruery (Terreux) and Wellington, New Zealand's Garage Project, Ngongo is a saison that's packed full of intriguing flavor. The name comes from the Polynesian word for 'nectar', and it definitely fits the bill. The beer pours a beautiful golden orange with impressive lacing–and features lemon balm, chamomile and New Zealand + California wildflower. There's just the right amount of funk, balanced by an intriguing herbal characteristic, making this an overall impressive and unique ale. This is a "hybrid wild ale" that's been co-fermented with apple, making for a pretty unique brew. Our one complaint would be that it was a bit over-carbed (both bottles we had were gushers) but everything else was on point. Once the beer died down a little in the glass, you get a slightly hazy, beautifully balanced saison that drinks more like a funky cider. There's just the right amount of barnyard here too. A wild ale fit for hot summer days. When juice is all the rage across taproom menus near and far, it's nice to be reminded of the classic West Coast styles and their distinguished IPA balance. 'Sumpin' Extra' is everything you'd expect from a Lagunitas ale–it's dank, resinous, grassy, citrusy, and has an unapologetic malt backbone. Given our memories of this beer, we were expecting more malt than refreshment, but that wasn't the case–and was incredibly welcome in the 90° heat. Peach seems to be a theme this summer and we can see why with this attempt to emulate the famous Venetian cocktail. The peach character is dominant here, so much so that you may forget you're drinking a beer. Fortunately, its lighter on the sweetness than expected, which makes this surprisingly palatable, even if fruit in your beer isn't your thing. We'd gladly throw a couple of these back on the beach on one of these hot July afternoons. The can may be eye-catching with its non-traditional pull top lid and hot pink label, but this is a classic American IPA through and through. Hopped with Amarillo, Idaho 7, and Vic Secret, it's mostly haze-less with a big floral nose. Once tasted, you get a straight forward but satisfying citrus punch that's balanced nicely by a pretty significant malt sweetness. There's a lot to like here if you're looking for an IPA that's far from today's trends but still scratches that hoppy itch. 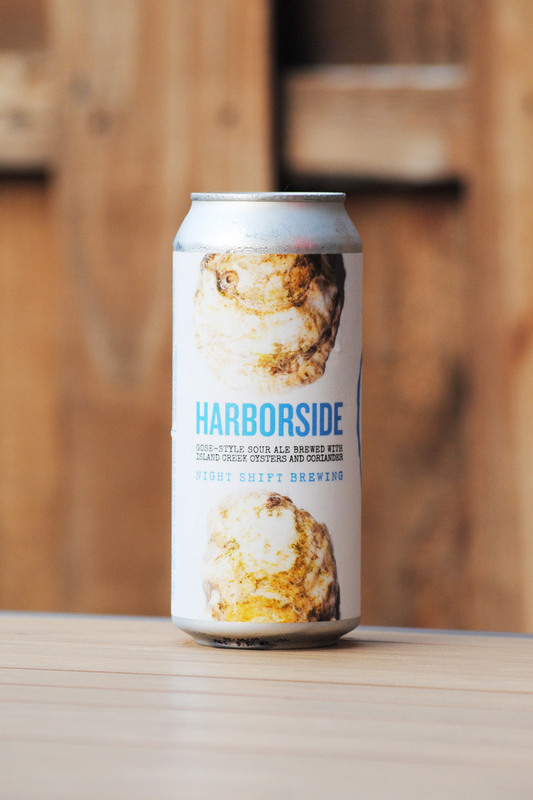 Brewed with Island Creek Oysters from just south of Boston, Harborside can be an intimidating prospect for those not fond of the salty mollusks. If you can get passed the ingredient, however, this is a great example of the gose style. The expected briny characteristic is possibly amped up a little from the inclusion of oysters but it's still well balanced and pleasant to drink. Overall, this is a surprisingly simple and refreshing warm weather sour. This St. Louis brewery's trademark saison makes its way into cans for the first time, and it's a great move for a beer such as Saison de Lis. Should you pour this one into a glass to share, you'll notice a fairly light straw colored yellow ale with hefty lacing. Once thought to be a preservative for beers, chamomile makes its presence known here, providing a distinctive herbal and tea-like spice characteristic–giving this saison an extra punch. We've long said that pale wheats are an under-appreciated and certainly under-represented category in craft beer. They're often an odd hybrid, toeing the line between soft wheaty, crackery body and a spicy hop bitterness. This one from Pipeworks, we think, is a near perfect version of the style. It's bready, crackery and mellow with a tinge of orange citrus and hop bitterness in the finish. Plus, the name: Shark Park, c'mon. Fantastic. For the second month in a row, we feature Prairie Street. 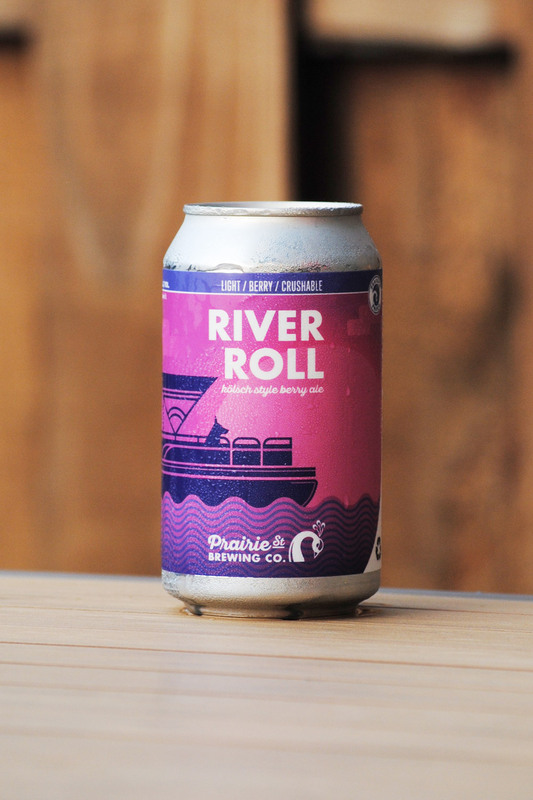 Last month's Feather Eye Rye was quite the juxtaposition to this month's River Roll. Here, the Rockford brewery ditches spice for a Kölsh-style ale with a berry addition. However, this one wasn't as refreshing as the name and style suggested. It certainly had berry sweetness, but was too tart for a Kölsch, and finished even a bit syrupy, leaving us unsure if it'd make it on a boat with us. Revolution takes another stab at a summer seasonal can with Freedom of Speach. This is a low ABV kettle sour with strong peach notes, both on the nose and in taste. There's a back end sweetness that reminds us strongly of peaches of cream. The acidity is way dialed back which will be pretty polarizing for those expecting a tart taste. This isn't the beer for everyone, but if you're new to sours and lean sweet in your fruited beer, this might be just what you're looking for. To honor its fifth birthday, Rhinegeist chose to go the 'hazy' route and toss this celebratory imperial IPA into some really slick cans. Surprisingly, though, this beer was far from hazy, and drank far easier than its 8.0% ABV might suggest it should. The in-your-face aromas from traditional NEIPAs weren't quite present, but that certainly didn't take away from the experience. It had a mellow, even crackery, light body, balanced by some nice tropical flavors. A nice, simple, not-so-juicy IIPA. As one of our Chicago 'Breweries to Watch in 2018', we've had our eye on nano-brewery, Saint Errant. And after recently moving into shared space at Begyle Brewing, their newly canned 4-packs are popping up in more places. 'Takers' is much of what you can expect from their DDH lineup. It's a a passion fruit, guava, and pineapple-esque topical bouquet, served up in an opaque, cloudy manner. A really nice beer, but we almost wish a single characteristic stood out more still. The bottle advertises a Belgian-style stout with spices, chocolate, coffee, and oak...except that hardly any of these notes came through once tasted. If anything, it drinks like a sour stout with acidic cherry being the most dominant flavor. The weird thing is, we still kind of dug it. While we're pretty sure this isn't what the brewer intended, we still enjoyed the beer–that drank more like a Belgian quad. This takes a big knock for not being what it claims, but we'd probably drink it again anyway. Another month, another release from Schlafly's always excellent Ibex Cellar. This time, their Sour Blonde offers up a tart and acidic take on the tried and true style. Nicely carbed though with a quickly dissipating head, the beer offers a slight haze and funky, citrusy nose. The acidity is enough that those new to sours may be a little put off but we enjoyed the bite and funk that dominates throughout on this beer. The 'Ibex Cellar', take note, folks. This is our first review from the Vermont brewery and it's a great first impression. While smoked beers can be polarizing, this one manages to toe the line between the smokey, almost bacon-like aroma and a dialed back taste that lets the base beer shine through. This is still unmistakably a helles with a bready malt backbone and slight sweetness. 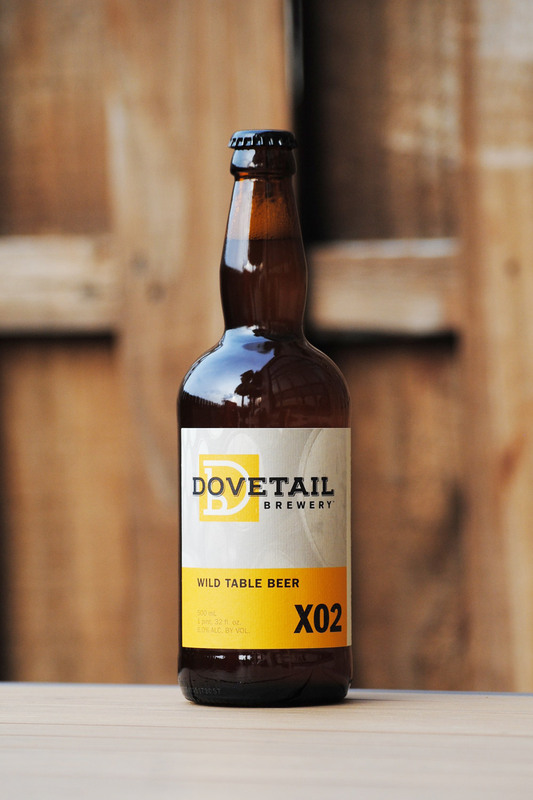 This is a beer we'd use to introduce skeptical friends to the joys of smoked malt...or just drink it ourselves.